Check Northwest Territories (NT) public holidays for the calendar year 2016. 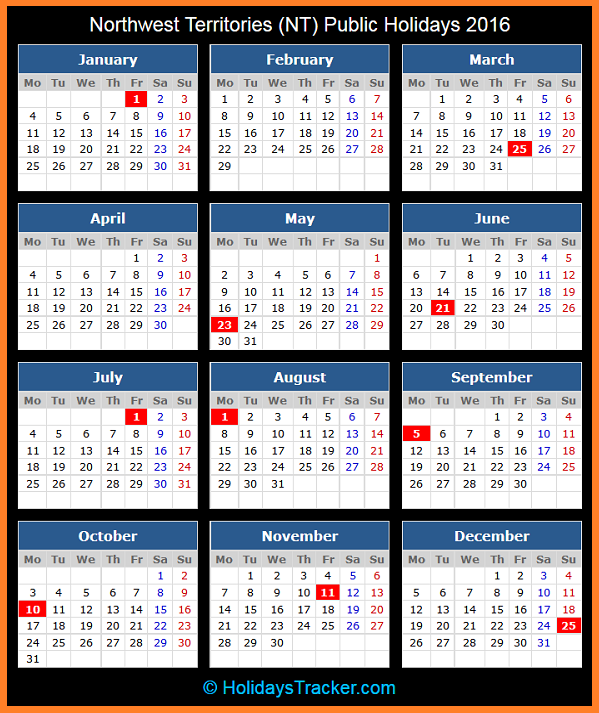 Check holidays dates in 2016 for New Year’s Day, Good Friday, Victoria Day, National Aboriginal Day, Canada Day, Civic Day, Labor Day, Thanksgiving Day, Remembrance Day and Christmas. Subject to this Part, an employee is entitled to a holiday with pay for each of the above holidays, whether it falls on a day of work or not. Some provinces maintain statutory holidays and general holidays. 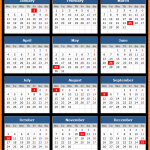 Statutory holidays are those days legislated by each jurisdiction as paid holidays. General holidays are certain days legislated by a province to be paid holidays, and may have differing rules for differing industries, such as the retail industry. Many of the statutory holidays are also designated as general holidays in each province.